All seven books in the series will be issued in these highly collectable House Editions. 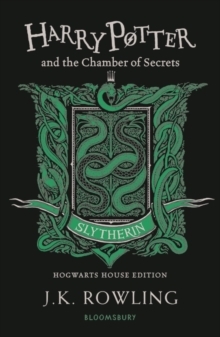 A must-have for anyone who has ever imagined sitting under the Sorting Hat in the Great Hall at Hogwarts waiting to hear the words, `Better be SLYTHERIN! 'You'll always find a home at Hogwarts!